The White House on Monday said it was weighing fresh Russia sanctions for Moscow's role supporting Syria's chemical weapons program, but officials cautioned that no decision has yet been taken. "We are considering additional sanctions on Russia and a decision will be made in the near future," said press secretary Sarah Sanders. That message appeared to tap the breaks on imminent punitive economic measures. "We are evaluating but nothing to announce right now," she said. On Sunday, US ambassador to the United Nations Nikki Haley said new sanctions would be announced on Monday by Treasury Secretary Steve Mnuchin. Haley said the measures would target companies that supplied Damascus with equipment and other material related to chemical weapons, which killed more than 40 people in Douma on April 7 and prompted US-led airstrikes. With an announcement seemingly imminent, officials at the Departments of State and Treasury referred queries back to the White House, while others indicated a Monday announcement was now unlikely. It is not clear what has caused the apparent delay, but sanctions decisions are usually weeks if not months in the making. 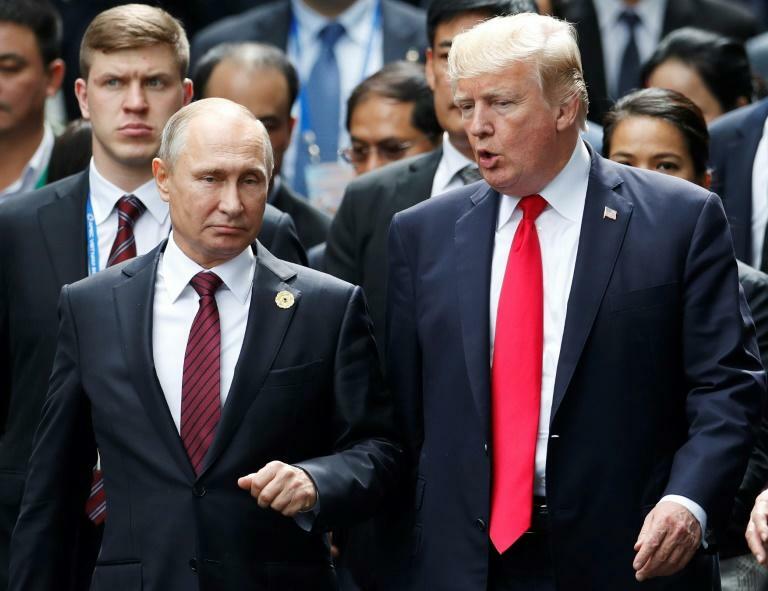 The United States and European allies had discussed a sanctions package in the build up to last week's strikes against targets in Syria, with the American measures said to be further along in the planning process than Europe -- where consensus among member states is needed. Adding to the complication is the lack of a Secretary of State after Rex Tillerson's departure, as well as President Donald Trump's desire to improve relations with Russia. A Washington Post report suggested Trump had been furious with aides over the recent decision to expel 60 Russian diplomats, believing each European country -- rather than Europe as a whole -- would match that figure. "The president has been clear that he's going to be tough on Russia, but at the same time he'd still like to have a good relationship with them," Sanders said. ​"The president would still like to sit down with him, he feels like it's better for the world if they have a good relationship." "But that's going to depend on the actions of Russia. We've been very clear in our actions what we expect and we hope they'll have a change in their behavior."